PRESS RELEASE: Join record producer Steve Levine and BBC Radio 2 presenter Richard Allinson, the team who created the groundbreaking and award winning documentary series The Record Producers for BBC Radio 2 and 6music, as they reveal the secret production recording techniques behind some of the world's legendary artistes. For this first show, Richard and Steve will be joined on stage by legendary producer Tony Visconti, whose extensive career includes working with T Rex, Sparks, Thin Lizzy, Paul McCartney, Morrissey and of course David Bowie. In the latter part of the show Richard, Steve and Tony will be joined on stage by several very special guests. 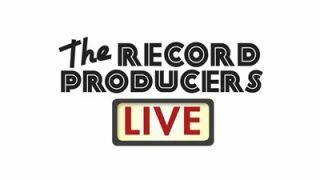 "As a record producer myself I have been an admirer of Tony's incredible and varied production work over the years," says Steve Levine, "This evening will be a great opportunity to bring our award winning radio show to a live audience and will enable us to do things that we can't do in the confines of the radio studio. "I think I speak for everyone that we are all really honoured to share the stage with Tony, I'm looking forward to exploring the studio secrets behind the mixing desk." This exclusive and unique event will be held at the O2 Shepherds Bush Empire on April 28th 2013. Using the original master multi-track recordings, our three hosts will 'deconstruct' the classics, removing and adding individual recording tracks, to offer a unique insight into how they were built. You will also hear previously unreleased recordings from the Tony Visconti's private collections. Informative and entertaining, the presenters and their guests will illustrate recording techniques they have used and importantly the stories behind them. With a studio lounge for the chat on one side of the stage and a state of the art studio on the other, this will be a masterclass in hit making. There will be a chance for an audience Q&A session, which will also feature guest producers who have been influenced by Tony's work including Bernard Butler (Suede guitarist and producer). There is also a potential for several members of the audience to get 'hands on' at the mixing desk with the help of Steve and Tony.